The Dark Ranger: PETA Alert! 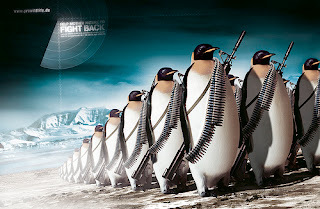 Extermination of Penguins Imminent. Let's look at the current team. The Penguins recently signed Sidney Crosby for a long term, added quality veterans on defense and forward and might have got one of the steals of the draft. All in all, it has been a pretty good summer for the Penguins on the heels of a monumental season. Aside from extending Crosby and talented young defenseman Ryan Whitney, the Penguins reeled in veterans Darryl Sydor to bolster the blue line and Peter Sykora to add scoring depth. Meanwhile, Pittsburgh retained several of its key young players (a 20-year-old Evgeni Malkin, 18-year-old Jordan Staal and 22-year-old goalie Marc-Andre Fleury) which helped to transform the culture of the franchise. Additionally, they brought back veteran Mark Recchi and in-demand trade deadline rental Gary Roberts, who is 41 but provides the kind of intangible leadership critical to a young team. As a Rangers fan, the Penguins were one of the most excruciating teams to watch in the NHL last season because of the combination of their youthful exuberance and incredible skill. I would vote the Penguins as the NHL's "Top Kids Club" franchise. The trend of playing kids has been gaining in popularity the last two years. A big part of that has to do with the salary cap, but it also has to do with the fact that a part of the NHL’s youngest generation, the teenagers and those in their early 20’s, can hold their own in the big leagues. 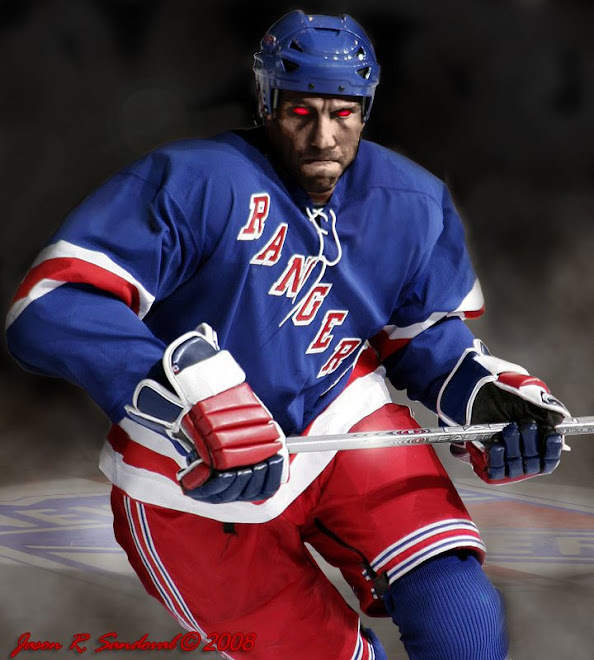 Even with the Rangers considered one of the top five prospect teams in the entire league and our including top young prospects into the starting lineup (Daniel Girardi & Ryan Callahan) and training camp this fall (Marc Staal & Bobby Sanguinetti), the current Penguins are living proof of the effectiveness of long term prospect development and the loyalties of those programs. I do agree with the poll that the Penguins are one of the most-balanced teams in the division, or the NHL for that matter, but they still lack both the level of veteran depth and rookies that the Rangers will be carrying into the 2007-2008 season. #1. Pittsburgh - biggest threat in the division. No questions about it. #2. Philadelphia - I am going on the line with this one, but this 'new' team scares me. #3. NJ Devils - Lucky Lou looks small this year, w/o Gomez and Rafalski - no real improvements. #4. NY Islanders - hate to say it, it's a cake walk this year. Sorry Teddy. Although, I might feel differently three months from now. 1) We're still a ways away from doing our pre season predictions but we'd say your poll is dead on. The Penguins and rangers should be the 2 teams to beat not only in the Atlantic, but in the East as a whole. 4) The Devils always seem to find a away even after losing player after player, BUT we believe this may finally be the year they falter a bit. 5) We predicted the Isles would be awful last year but Ted Nolan glued together a rag tag group to the 8th spot. We can NOT see that happening twice. Not with Mike Comrie as your #1 center! I wonder what HAWK would say... What a loon. Welcome back Faux and thanks for the comments. The Flyers will almost certainly get the 'Most Improved Award' this coming season - if any. 2) They have plenty of good quality forwards even with the loss of Forsberg. Their defense on paper at least is potentially porous, but that could be said of your Rangers as well. The difference is the Rangers have a dependable goalie, the Flyers do not.